America’s best bartenders gathered in Portland recently for PDX Cocktail Week for several days of seminars, parties and on-the-scene tastings. Tips, trends and otherwise brilliant boozy ideas were on display throughout. Here are four of our favorite things we learned at the event. 1. Traditional sippers make a great cocktail base. You’ll usually see your Ketel Ones and your Bacardis in mixed drinks, not served straight. But even spirits we usually think of as sippers served neat, like high-end Scotches, are appearing in brilliant cocktails. Auchentoshan’s lively party featured its Three Wood Scotch at a make-your-own cocktail bar (a smart move, since just about everyone in this crowd would rather make their own cocktails). 2. Bartenders are learning about much more than mixing drinks. Sure, advanced cocktail-shaking techniques are key. But so are genuine hospitality, smart design and taking into account every aspect of a guest’s experience. Those ideas were on full display at PDX Cocktail Week with classes on everything from service theory to the neurology of mixology: a scientific look at the senses and how each one affects a drinker’s perception of a cocktail. 3. Never mind wine and beer, cocktails pair perfectly with food. Plenty of cocktails aren’t food-friendly. What dish wouldn’t get overwhelmed by the dominant flavors in a Sazerac? 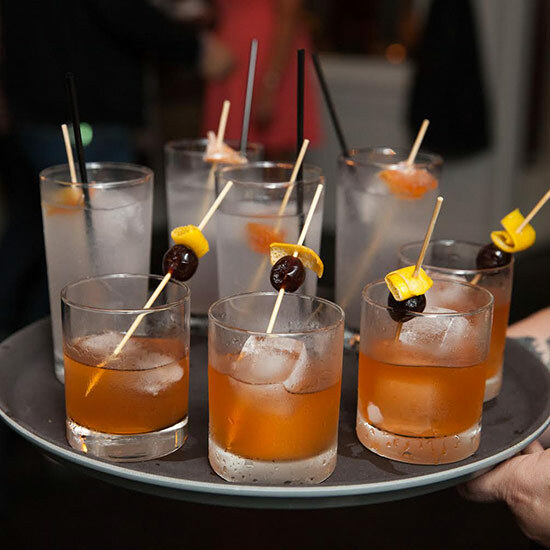 But several events at PDX proved that cocktail pairings can be done right. For example, the light, citrus-forward flavors in a Tanqueray gimlet cut right through a plate of rich Olympic Provisions charcuterie. 4. Cocktails are on tap, and they are fantastic. Five years ago, the notion of a cocktail on draft seemed a bit crazy; now, you’ll find cocktails at the pull of a handle in bars across the country. New York’s Alder, which serves three draft cocktails including the well-loved Dr. Dave’s ’Scrip Pad, made from rye, yuzu juice, amaro and smoked maple syrup, is one example. San Diego’s Polite Provisions, with five ’tails on tap such as the Full Windsor, made with Scotch, apple brandy, Bénédictine and sweet vermouth, is another.